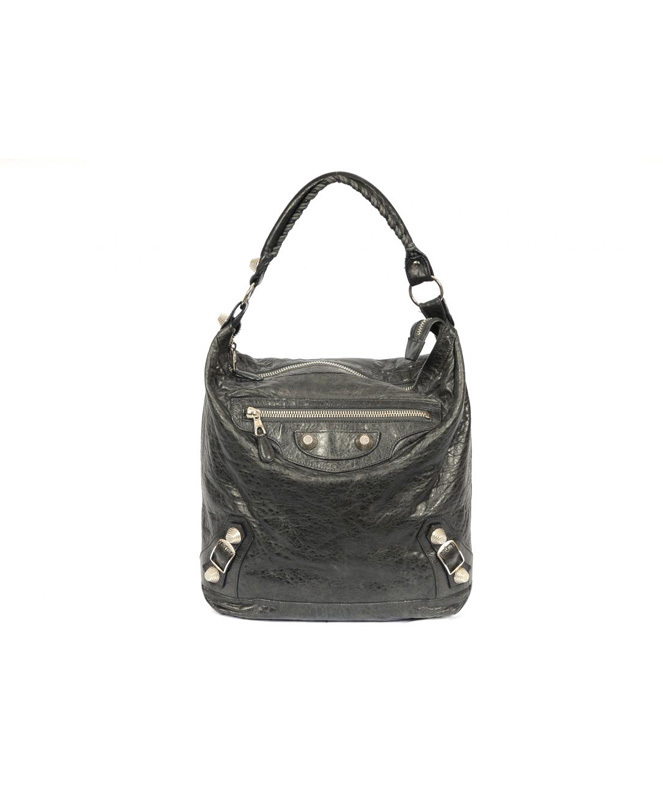 This Balenciaga Giant Day Hobo with Giant Silver Hardware is made of soft, distressed leather. 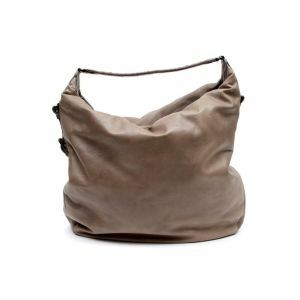 This Balenciaga Giant Day Hobo with Giant Silver Hardware is made of soft, distressed leather. Front of bag has a large zip pocket with leather pull tab. Leather platform with two studs sits below pocket. 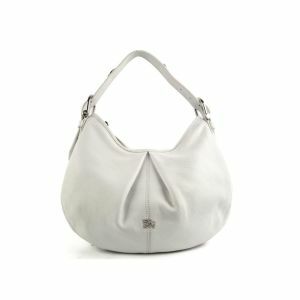 On bottom front corners of bag there are silver studs and buckle detail. Single rolled leather handle has hand-stitched, whip stitch detail. Top zip closure opens to textile lining inside. Back wall of bag has a large zip pocket with embossed leather logo tab below it. Includes matching framed hand mirror with long leather tassles and dustbag.